COOOOOL, I’d live there if I could fly. Nice angles on a great bird box. 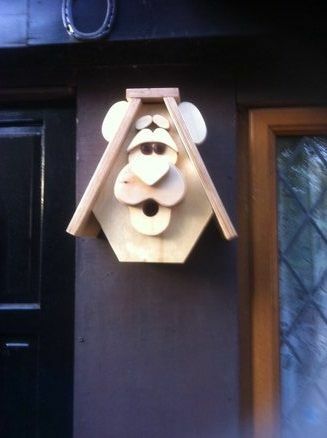 A cool and fun bird box well done. I likes it. Very fun. That’s one unique and cool birdhouse. Fun project and great job!